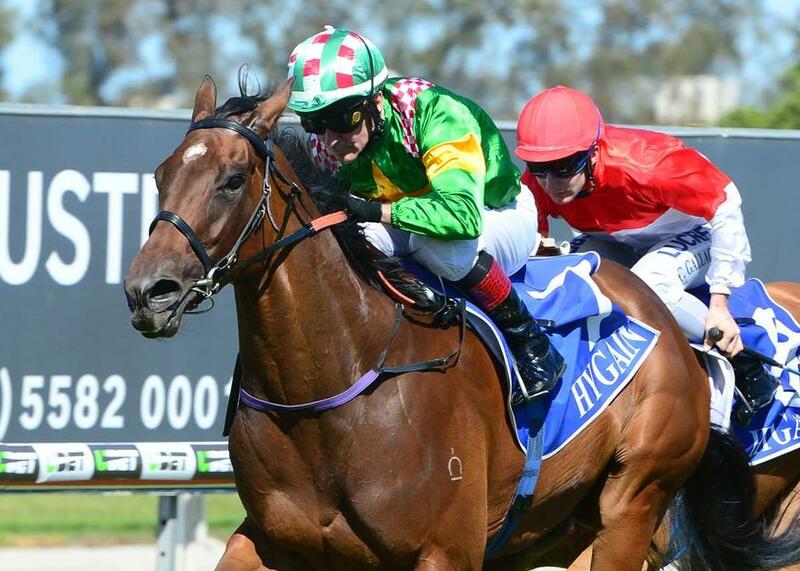 In-form sprinter SMARTYPY steps up to Saturday Metropolitan level tomorrow as she looks to make it three straight wins in the Fillies and Mares No Metro Wins Handicap (1200m) at the Sunshine Coast. The former Sydney-trained mare is unbeaten from her first two starts for the stable and will again be partnered by leading jockey Jeff Lloyd. The stable also has talented three-year-old RACECOURSE ROAD lining up for his second-up assignment in the QTIS Three-Years-Old Handicap (1000m) after running a narrow second first-up a fortnight ago. Meanwhile, MARTINELLI drops back in grade to the Class 6 Plate (1300m) at the Gold Coast tomorrow, looking to improve off a disappointing first-up run at Saturday Metropolitan level. TRAINER COMMENTS: "She's done really well I can't fault her since her last-start dominant win. Obviously she's drawn a little bit tricky there tomorrow as she was the start before, so it's really going to be up to Jeff to try and get in and get the right sort of run on her. It would be lovely to see her just off the speed, around midfield with a bit of cover and if he can get her to relax, I've got no doubt she will show that good turn a foot she showed at Ipswich the other day. If she gets the right run, I expected her to race well and be very, very hard to beat so fingers crossed." TRAINER COMMENTS: "He has drawn a bit more favorably this week in barrier four. There looks to be a little bit of speed all around him so basically the options are going to be left to Mark as to where we put him in the race. I'm pretty happy with the horse, the time in between runs hasn't hurt him and he likes to race on the fresh side. He's still got a bit of improvement left in his coat so the more he gets into his racing, the better he is going to be. Hopefully from the good draw and the better turnaround in the weights, he's going to be competitive and hard to beat for us." TRAINER COMMENTS: "I'm pretty confident we will see a marked Improvement tomorrow from Martinelli at the Gold Coast. Although he's down in grade and is not well weighted with the 59kg, I'm a lot happier with him going to this race. His coat looks a lot better and his gallops have been good since his last start at Doomben, which we've just put a line through as he probably just wasn't 100 per cent ready and could have done with a couple of hard gallops under his belt before we went to the races. He's a lot fitter going to the races tomorrow, whether he is ready to win or not I'm not too sure, but I'm happy with him and I'm expecting a marked Improvement from him."